This entry was posted on November 5, 2009 at 5:34 pm and is filed under babymama drama, Friendohs, Music --- Too many notes., Music Moment, Patron saints, Pictures, quotes, Self-audit, Yucky Love Stuff. You can follow any responses to this entry through the RSS 2.0 feed. You can leave a response, or trackback from your own site. THANK YOU SO MUCH for posting this up! I heard this song on the radio last night by accident, and it was one of those things where the message was exactly what I needed to hear in that moment, and it really ‘saved me’ from a bad frame of mind. I too am a single mother with one little daughter, five years old, in kindergarten. Sometimes I get really resentful at the world for putting me out in the cold, so to speak, as far as marriage and commitment goes, but in the end I still have this wonderful beautiful adorable little person to wake up with and laugh with every day… And isn’t that making it all worthwhile? I can pour my hugs and kisses onto her, and it’s all right. 🙂 So anyway, thank you… My daughter and I are singing along to this song together now… Please don’t ever take it down from this page! So glad you liked it! I just came from dropping mine off at school. Their pigtails and butterfly kisses make it all bearable. You are awesome, Thank You!!! I am so glad I found this song! I am writing a book about my mother’s life and needed this. She used to play this for me growing up as she was a single mom and I was her only child. 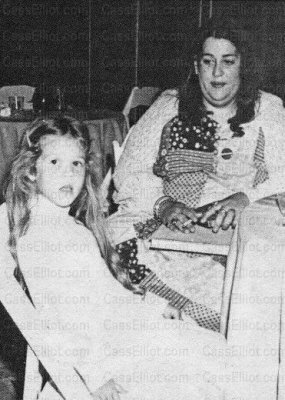 Times were hard and she must have related to this song and Mama Cass. thank you- it made me cry! I’m so glad you were able to find it. It’s a very special song by a special lady, huh! I might of wrote you a long time ago! I was in the room next to your Mother (Cedars) when you where born. My daughter was born May 1-67. Your mother and I talked at the nursary, and would walk back to to our rooms. Omg your Mother was SO freaking proud of you.. I remember her room with paintings on the wall..Maybe I’m saying too much!!.. Your Mother was a funny Happy Women, and had a voice like a Canarie..Although not soft lol..
Owen, your Mother was booked to play in Wakefield Yorkshire England at Wakefield Thetare Club by Martin Dale when she sadly died…a fantastic voice. I would have loved to have seen her ‘live’……tell me do you sing ? Regards from an English fan…Richard. 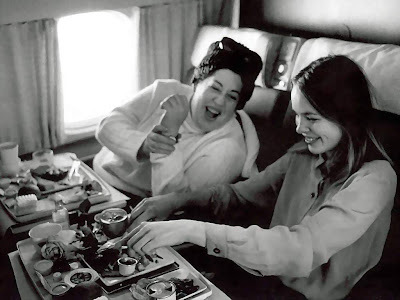 I’m a little late here, this post is almost a year old, but Mama Cass is simply the best singer ever. I have a post about her on my blog, and wordpress showed me yours as related. It’s hard to find her lyrics. Sweet Believer is nowhere to be seen, for example. I’m also a single Mom, and play it like Cass too. I adore to sing Lady Love to my little daughter! I was close when I thought the baby daddy was Dave Mason. Maybe I am right and maybe I am wrong. Owen was born out of wedlock in the 1960s, which was really embarassing then. Some people think James Hendrick was the father, except she was married to him at that time, and probably cheated on him with one of her musician friends. Owen wants to honor her mother’s secret. That is that story. We will know the truth when we know the truth, until then let us work on our own fame and fortune. There is an item that James Hendrick was the biological father, but from what I had believed, Cass was married to Hendrick when she had an extra marital affair that resulted in a pregnancy. That was tragic back in the 1960s. I don’t think I was that far off when I thought the father was Dave Mason. As painfully curious as I am to know who the biological father, the one important person who should have known, does know. Let’s get on with becoming the stars of our lives. If we ever do find out who is the biological father, that will be fine. If not, at least we will be on the road to our own fortune and fame. Owen’s biological father is Chuck Day. He played guitar for Johnny Rivers and The Mamas and The Papas. He is now deceased. After a Crosby/Nash tour ended, I briefly helped take care of Owen and Nathaniel, now living in Russell and Leah’s house up off of Mulholland Drive. The children were delightful, as was Leah.